A lot of North Carolina progressives have been feeling a bit of unease in recent weeks as they became aware of the impending departure of longtime NAACP President, Rev. William Barber. Rev. 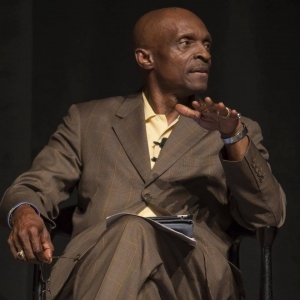 Barber, of course, has become national leader over the past dozen years as he transformed the North Carolina NAACP — often through sheer force of will — from what had been a troubled and often irrelevant group into one of the nation’s strongest state conferences. The notion that Barber, who announced earlier this month that he is stepping down to help launch a new national Poor People’s Campaign, will no longer be available on a daily basis to lend his formidable leadership skills has caused some caring and thinking people to worry that the organization might falter. “Over the past twelve years, the N.C. NAACP founded a movement, shifting from ‘Banquets’ to ‘Battle’. The eyes of the world are on our movement in awe over the explosive growth of the Historic Thousands on Jones Street People’s Assembly Coalition (HKonJ). In 2006, we began with sixteen coalition partners, and today we have over 200 diverse social justice organizations working to implement our 14 Point People’s Agenda in 100 counties across North Carolina. 3. Healthcare for all by ensuring access to the Affordable Care Act, Medicare, Medicaid, Social Security, and by providing environmental protection. 4. Fairness in the criminal justice system by addressing continuing inequalities for black, brown, and poor white people. 5. Protect and expand voting rights, women’s rights, LGBT rights, immigrant rights, and the fundamental principle of equal protection under the law. God’s Word compels us to fight this battle defending poor, disenfranchised, and needy people. We are obligated to create effective strategies to ensure the political, educational, social, and economic equality of rights of all people. We must defeat the forces of race-based discrimination and religion-based bigotry. Pursuing victories on these battlefields should be the order of each day. 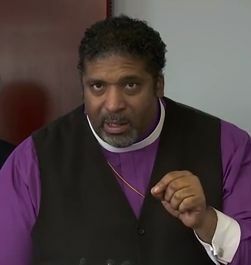 The day has come when the N.C. NAACP must transition from the leadership of Dr. William J. Barber II as he moves higher in this work with the new Poor People’s Campaign. As the third Vice President of the N.C. NAACP for the past six years, I have worked closely with Dr. Barber in the HKonJ and Moral Monday movements. Prior to that, I served as the Chair of the N.C. NAACP Religious Affairs Committee, two years as Education Chair and two years as President with the Hickory Branch NAACP . My 53 years of membership in the NAACP, and twelve years of leadership experience in the N.C. NAACP prepare me to become the next President of this great civil rights organization. I have filed as a candidate for that position in our next election. Spearman’s candidacy appears to be drawing strong support from many of Barber’s most loyal friends and long-time supporters within the organization. You can watch a sermon Rev. Spearman delivered at an North Carolina Council of Churches event last year by clicking here.